Only Living Wage laws and free democratic trade unions will solve the problem of affordable housing and homelessness. So long as corporations exploit workers with McJobs that don't pay enough to live, those problems will persist, fester and worsen. Do Higher Wages For Restaurant Workers Kill Jobs? A New Study Says No. But economists still don't agree on the effects of pay increases. Tipped workers are better off in cities that pay a single minimum wage, according to the Economic Policy Institute. D.C. residents voted in June to raise the minimum wage for tipped workers, but the matter is far from settled. As members of the D.C. Council consider whether to overturn the vote, saying higher wages could hurt workers in the long run, a left-leaning think tank has published a study rejecting that claim. Initiative 77, which increases the hourly tipped wage from $3.89 to $15 over seven years, is likely to boost workers’ income without eliminating a significant number of jobs, says David Cooper with the Economic Policy Institute, a union-backed research organization. 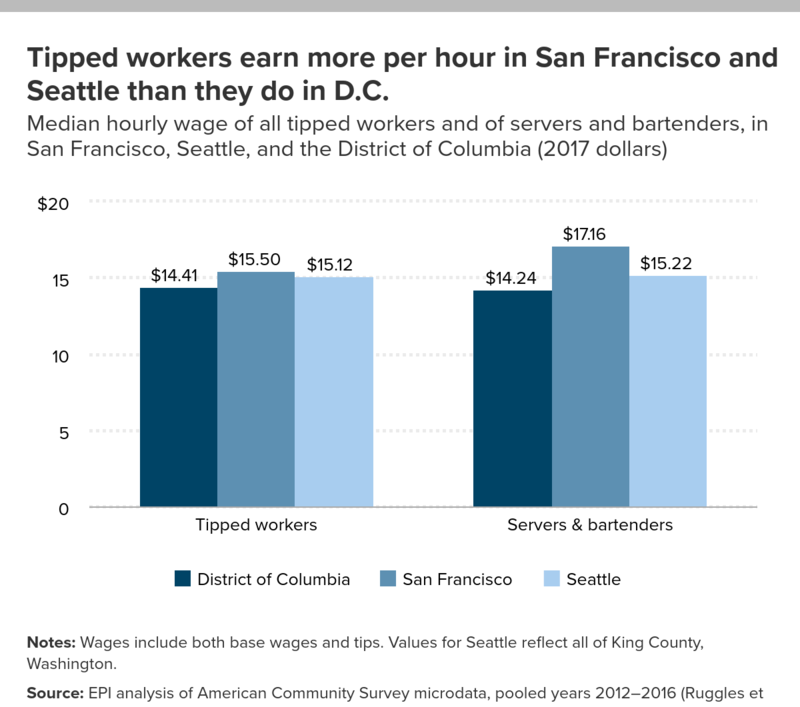 Cooper analyzed wages in Seattle and San Francisco, where tipped employees are entitled to the same minimum wage as other workers. He found they earn more than their counterparts in the District, even though D.C. wages overall are higher. “You can point directly to the differences in our tipped-wage policy to what’s driving that difference,” Cooper says. The economist also found that despite the higher tipped wage, restaurants in those cities make up a greater share of the local economy than restaurants in D.C., countering claims that gradually raising wages would lead to establishments closing en masse, he says. 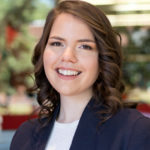 Cooper’s analysis is supported by research published in 2015 by economists at the University of California, Berkeley, that shows only “small, statistically insignificant employment effects” in jurisdictions that have raised wages for tipped workers. The same researchers published another study recently showing that increases to the regular minimum wage have not harmed employment levels in six cities, including D.C. But opponents of Initiative 77 cite other studies showing different effects of wage increases, indicating how divided economists are on the issue. “Its rose-colored conclusions have been debunked by voluminous empirical and anecdotal evidence documenting the harm of a higher minimum wage,” Saltsman writes in an email. He cites research from Harvard University and the Southern Economic Journal that link wage increases to closures among lower-rated restaurants and declining employment in full-service establishments, respectively. 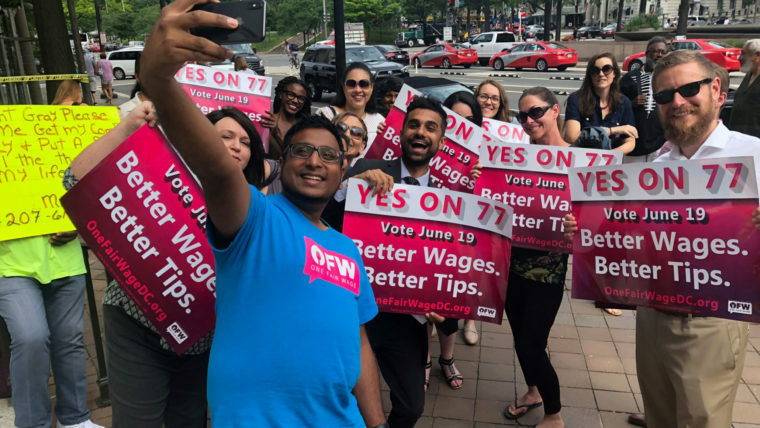 Bar and restaurant workers campaigned heavily against Initiative 77 before the June primary, saying a pay increase would close businesses and discourage tipping, putting their livelihoods at risk. After the measure passed with a 56 percent margin, workers told Washington City Paper customers had already begun shorting them on tips. Supporters of Initiative 77 have repeatedly called on lawmakers to allow the referendum to become law. “It would be deeply undemocratic for Council to overturn the will of the people,” said Diana Ramirez, head of ROC-DC, the group that got Initiative 77 on the primary ballot. Nevertheless, seven D.C. Council members co-introduced legislation to repeal the measure three weeks after voters approved it. A hearing on the repeal bill is scheduled for Sept. 17. Dozens of people have already signed up to testify, indicating that the hearing could be as long as it is contentious.